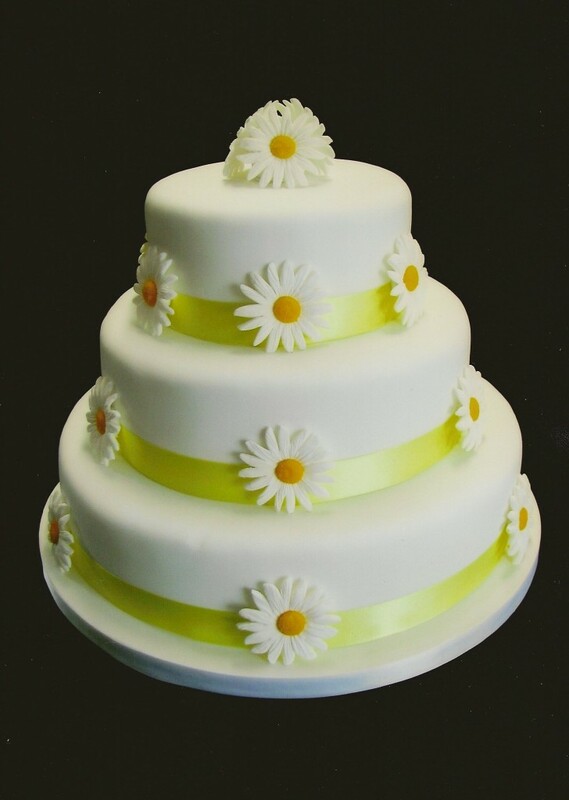 A pretty cake for spring or summer weddings, with delicate hand made sugar daisies. Shown here in classic yellow, but as the daisies are hand made, you can adapt them for any colour scheme which gives a really magical effect. Additional ~£25/tier for fruit cake.